NEW BUILD, LARGE 3 BEDROOM DUPLEX located in the heart of Leyton E10, available on the Governments HELP TO BUY scheme. Generously sized, contemporary HIGH SPECIFICATION finishes. 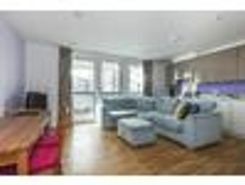 Close proximity to WESTFIELD SHOPPING CENTRE & Leyton Midland Rail station. Buyers are offered to CUSTOMISE finishes. New build one bedroom apartment, located within the highly sought after Olympic Park, in East Village (previously the 2012 Olympics Athletes Village). AN AMAZINGLY PRESENTED TWO-BEDROOM APARTMENT, enviably positioned moments from the ample open green spaces of Leyton, and the Jubilee Park. This property internally comprises a large reception room, a separate fitted kitchen, two double bedrooms and modern family bathroom. Brisbane Road is a sought-after residential enclave that provides easy access to central London. Viewing highly recommended. TheHouseShop.com is the leading property marketplace in Leyton in Greater London and has been helping landlords, tenants, sellers and buyers to save money when buying, selling, letting and renting property online. Property website TheHouseShop is unique in the UK property market as it is the only place that accepts listings from homeowners and professionals, so visitors will find properties available for sale and to rent from traditional estate agents, online-only agents, private landlords, private sellers and property developers. Sellers using TheHouseShop can choose to advertise their property themselves, or compare local and online-only agents to help sell their property for them. Homeowners using TheHouseShop to sell property in Leyton in Greater London can save thousands by selling their home privately online. More and more people have been using the internet to sell property privately in Leyton in Greater London. Setting the right price for your property is essential, especially with house prices in Leyton in Greater London changing so quickly – but don't worry, you can use TheHouseShop.com to book a free, professional property valuation from an experienced local expert. Private landlords and sellers can make use of TheHouseShop's marketing options to generate more exposure for their property and quickly find the right buyer or tenant. By using TheHouseShop marketplace to advertise property privately, landlords and sellers in Leyton in Greater London are saving their time and money while still finding a great selection of potential buyers and renters. 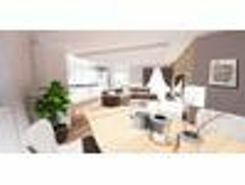 TheHouseShop.com is the best place for homeowners and landlords in Leyton in Greater London to sell or let property online. 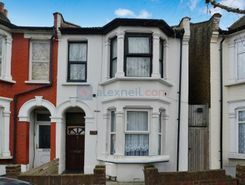 Estate agents in Leyton in Greater London can also use TheHouseShop to advertise their listings free of charge and reach a new audience of buyers and tenants. TheHouseShop's unique mix of properties in Leyton in Greater London have attracted huge numbers of home hunters looking to buy houses, flats, apartments, bungalows, penthouses, family homes and more. Big agent-only property portals like RightMove and Zoopla will not showcase private listings, but TheHouseShop's mix of professional and private listings mean you can find unique homes in Leyton in Greater London for sale and to rent. Make sure you visit TheHouseShop during your property search and don't forget to set up a free property alert to find thousands of unique new homes updated daily. Choosing the best estate agent in Leyton in Greater London to sell your home is important and TheHouseShop can help homeowners compare Leyton in Greater London estate agents and make an informed decision on how to sell their home. Property marketplace TheHouseShop attracts tens of thousands of buyers who are looking to buy property in Leyton in Greater London and the surrounding areas every day. 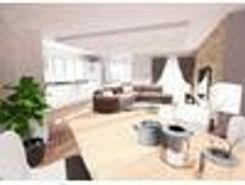 Disabled home hunters can use TheHouseShop.com to search for wheelchair accessible and adapted homes for sale in Leyton in Greater London and the surrounding areas. 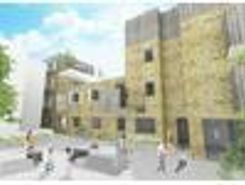 Some of the largest and most established property developers in Leyton in Greater London use TheHouseShop to market their accessible and new build properties for sale. Buyers can use TheHouseShop to find a huge selection of affordable homes for sale. 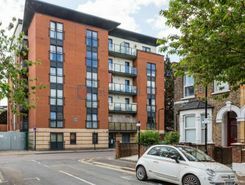 Buyers can find cheap houses and new build properties available through Shared Ownership schemes in Leyton in Greater London. 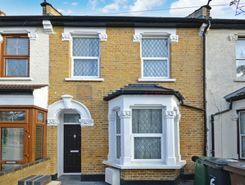 Buyers can get an estimated house price for any property for sale in Leyton in Greater London by using TheHouseShop's free online valuation tool to find out how much any home is worth. Your one stop shop for all things property - TheHouseShop is here to help everyone buying, selling, renting and letting property in Leyton in Greater London.